Fish oil, the fatty acid extracted from the tissues of oily fish. It is rich in essential nutrients that can help bodybuilders in many ways. Fish oil either as food or as a supplement is important for a bodybuilder. Fish oil, the fatty acid extracted from the tissues of oily fish is rich in essential nutrients that can help bodybuilders in many ways. Fish oil either as food or mostly as supplement is important when it comes to fitness for a bodybuilder. People who eat a pretty high amount of fatty acid in their diet do not require supplements as often. Fish oil is rich in omega-3 fatty acid along with eicosapentaenoic acid (EPA) and docosahexaenoic acid (DHA). All of these nutrients are known for its benefits and has attracted scientists across the world. It is found that fish oil is effective to heal any injury in lesser time, burn the extra body fat, boost testosterone levels and thus promote muscle growth. 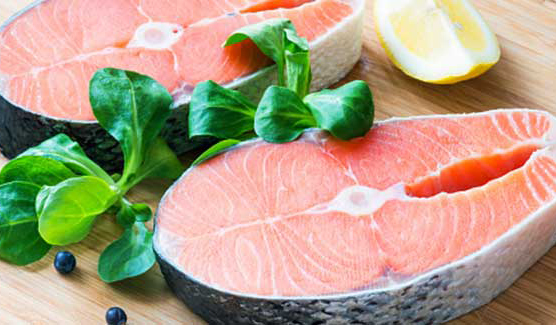 It is suggested that you should check that the fish you are having is not high in mercury or better you balance the fish oil tablets with fish as food. Fish oil, the combination of eicosapentaenoic acid (EPA) and docosahexaenoic acid (DHA) is used as a supplement to fulfil the need of essential fatty acids in bodybuilders and athletes. You can choose for a fish oil capsule as it is the easiest way to get the maximum benefits. The minimum dose required is 250 mg which is easily served by eating fish. It is recommended by American Heart Association (AHA) to take 1 gram of fish oil daily to maintain a healthy heart, reduce inflammation and boost hormone function. In the case of injury, a 6 gram daily dose is recommended to reduce muscle soreness. The AHA says, taking up to 3 grams of fish oil daily in supplement form is considered safe. Don't take more than that unless you discuss it with your doctor first. With increasing age, you need to take care of your bone. Fish oil being rich in essential fatty acids and vitamin D ensure the proper functioning of calcium channels. In women entering the menopausal years, hormonal imbalance causes bone erosion leading to osteoporosis. Experts suggest that adding long chain polyunsaturated fatty acid to the diet may balance the erosion of bone density and retain calcium in bones. Adding a fish oil supplement may troubleshoot the problem. It is suggested to maintain the ratio of intake of omega-3 and omega-6 fatty acid. Consuming too much or too little of any of this fatty acid may risk your bones. Bodybuilders need a strong heart with proper blood supply as they perform strenuous weight lifting and exercises. As the bodybuilders burn lots of calories there are fewer chances of arterial blockage. Adding 3-6 grams of fish oil in the diet may boost good cholesterol and maintain the healthy ratio of HDL to LDL. The supplementation of fish oil along with fresh fruits and vegetables support the heart health, thus supporting bodybuilders during a vigorous workout. Fish oil supplementation boosts the production of serotonin and helps in relaxing mood after a hectic workout. The hormone serotonin is referred as “feel- good” hormone and is responsible for reducing mood disorders such as depression and anxiety. It is very much compulsory for bodybuilders to remain calm and stress-free during physical activities and the fish oil serve this purpose. Daily supplementation of fish oil after a carbohydrate rich meal is recommended to get the maximum benefits. The most renowned use of fish oil is for healing an injury. Fish oil is well known for its power to reduce inflammation. Fish oils are proven to reduce the risk of inflammation. Over time, bodybuilders develop injuries and suffer joint pain from the countless hours in the weight room. 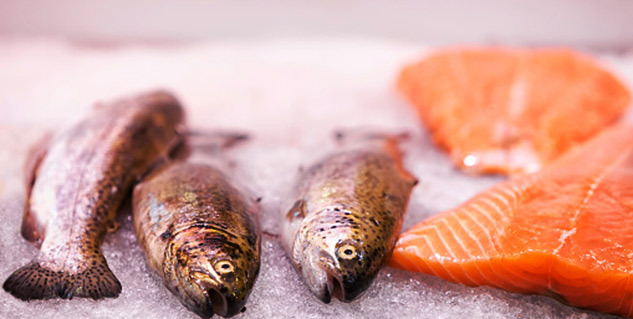 Fish oils have been tested for their effectiveness to reduce inflammation and joint pain. Research has proven that fish oils help the body reduce inflammation and joint tenderness. When the joints and tendons are healthy, bodybuilders are able to increase their level of workout intensity and be able to perform more frequent training routines.